His years as an undergrad are soon coming to an end, but sometimes the end is just start of a beautiful new beginning. 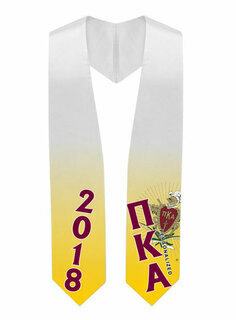 Tell him that and more by buying customized Pi Kappa Alpha Alumni and Graduation Gifts for him from Greek Gear. Many years from now, maybe even decades, your graduate will think back to his days as a college Greek and want something to remind him. 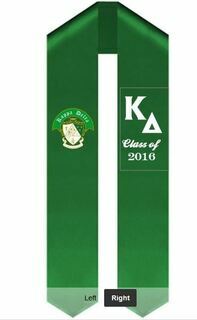 The Graduation Sash Stole makes the perfect keepsake for those times. 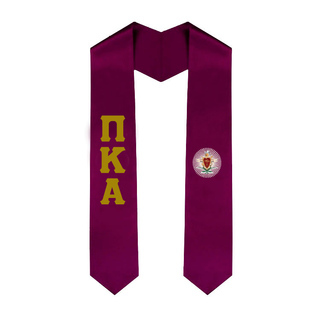 It's the stole he will wear when walking across the stage, accepting his degree and smiling for the camera, so it will be full of positive energy and memories. 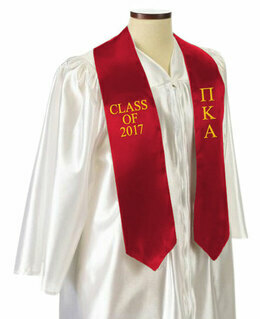 Navigate to the "See All Grad Gifts" section to find the first-rate alumni gifts we have to offer. For instance, the Greek Alumni Hoodie is a hot seller because it represents the member's "graduation" from undergrad hoodies to one made just for alum. 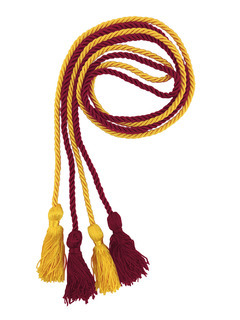 Hey, it's not easy to graduate from a school and be Greek at the same time. 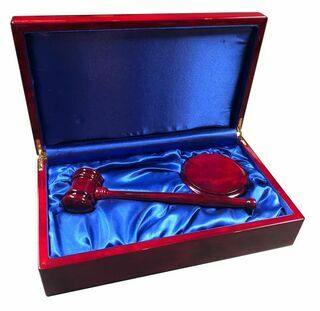 If you're the friends or fellow chapter members of the graduate to be, you and the guys can chip in a few dollars each to get this as a group gift. 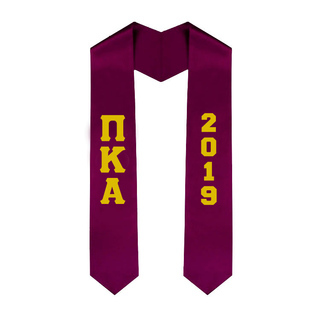 After you've chosen the perfect Pi Kappa Alpha Alumni and Graduation Gifts, browse to the fraternity apparel section to see what else we have in store for members. 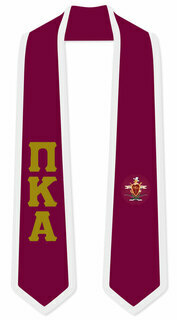 Pi Kappa Alpha AlumnI, Graduation Stoles & GiftsThe Greatest Selection. Period.